Published in the Shortlist section of The Sydney Morning Herald, September 19. Whilst a marriage of jazz and blues can, more often than not, disintegrate into little more than a series of extended solos, sonic masturbation from which there’s no escape, when done correctly, it’s a pleasure to behold. 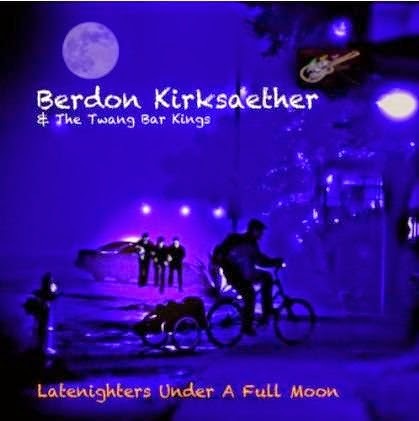 Norwegian master Berdon Kirksaether is one whose compositional and guitar skill bring the two together in such a way that serves to highlight how these two hallowed genres can compliment, as opposed to overcrowd, one another. 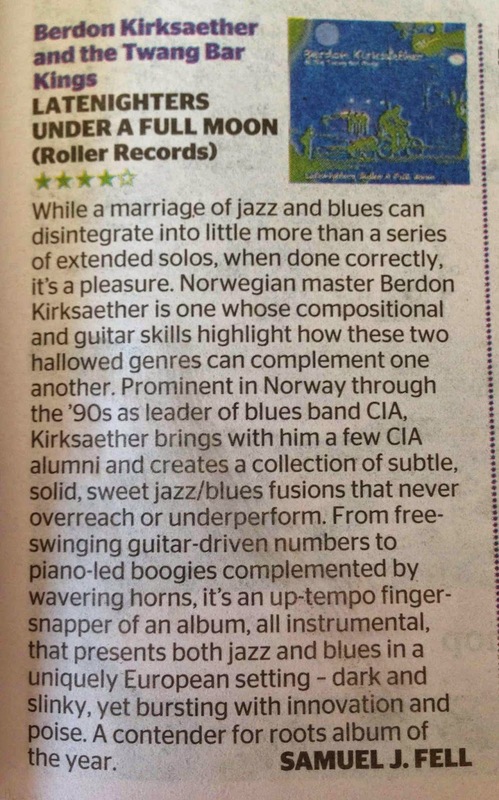 Prominent in Norway through the ‘90s as leader of acclaimed blues band CIA, Kirksaether brings with him here a few CIA alumni and creates something new – a collection of subtle, solid, sweet jazz/blues fusions which never overstay their welcome, never overreach or under-perform. 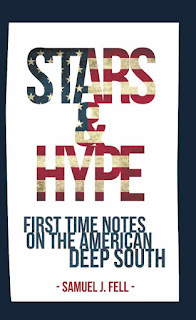 From free-swinging guitar driven numbers to piano led boogies complimented with wavering horns, it’s an in the main up-tempo finger-snapper of an album, all instrumental, that presents both jazz and blues in a uniquely European setting – dark and slinky, yet bursting with innovation and poise. A contender for Roots Album of the Year. Published in the October issue of Rolling Stone (September 2014). 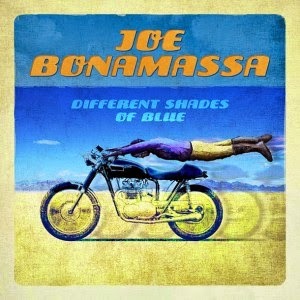 Joe Bonamassa has long been known as a six-string slinger of the highest order, one of the new guard in blues music, always keen to build on the form, take it places it’s not been before. On his eleventh studio cut however, he falls flat. With the exception of ‘I Gave Up Everything For You, ‘Cept The Blues’, which, almost ironically, is a cracking slab of actual ‘50s-style Chicago blues, the album is a formulaic flop, due in large part I suspect, to the Nashville song hucksters brought in to co-write. As a result, the album is repetitious, a parade of relatively staid blues/rockers that belie the man’s previously proven ability to evolve within this most hallowed of genres. Even his guitar prowess can’t save this one. Published in The Big Issue, September 12. Despite its more muscular, electric sound, the record is limp. It comes from somewhere dusty that’s been abandoned, furniture covered in white sheets, without a sense of purpose or attachment. 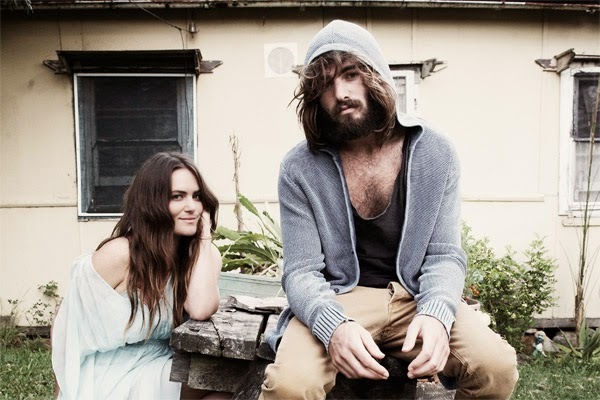 The third album to come from brother and sister indie darlings Angus and Julia Stone, it almost seems to be strained, created as it was at the behest of another. 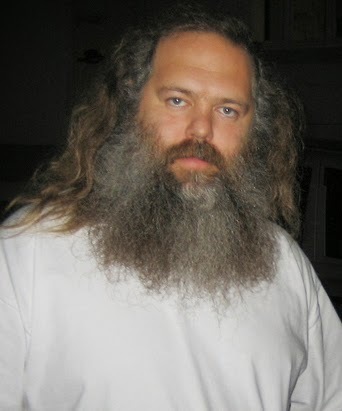 And not just any other, but Rick Rubin, the Zen master of music, a man who’s helmed some of the most important albums of our time, from thrash classics (and rebirths) from behemoths Slayer and Metallica, to breakthrough cuts from The Beastie Boys, Run DMC and the Chili Peppers. An odd coupling for the duo from Sydney’s northern private schools, beaches and cafes? 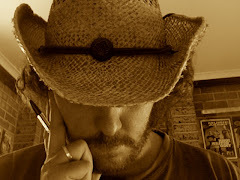 Not so much – Rubin has also worked with Brandi Carlile, The Avett Brothers, Johnny Cash. For him, it’s about music, first and foremost. “I like all kinds of music and it’s fun to move between different styles. It keeps things interesting,” he confirms to The Big Issue via email. And yet even under the careful eye, and ear, of one of the most lauded producers still living today, this eponymous record is timid and odd. Perhaps because it comes after a prolonged break for the Stone siblings, their last album together being 2010’s Down The Way, an album which, once finished, saw them drift apart to find their own musical selves. And so off they went, Angus releasing Broken Brights in 2012, Julia By The Horns (following on from 2010’s The Memory Machine) the same year. By Julia’s telling, they didn’t even see each other for 12 months, save for an accidental meeting on a random Parisian street. The thought of another record together just wasn’t part of what was happening, which is what makes this one seem ungainly and uncomfortable, not quite right, despite Rubin’s belief and input. 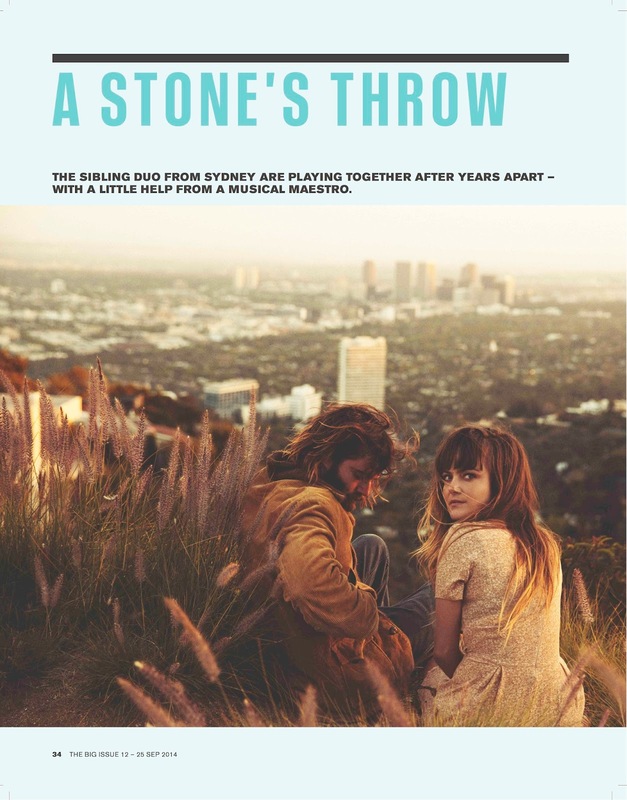 “It was definitely not on the cards to get back together, definitely not,” Stone acknowledges. However, she had met Rubin in Los Angeles last year, striking up an unlikely friendship. 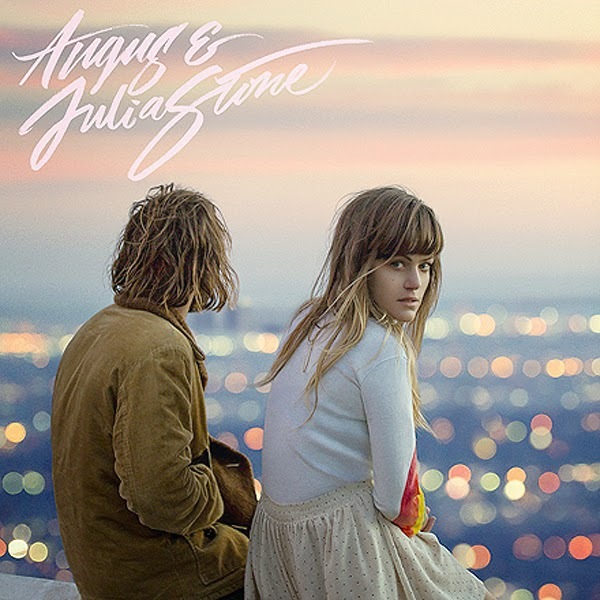 “When Angus and I started writing together in the studio… we started from scratch, writing in this new way, with electric guitars,” Stone says of how it began to form, an album which is certainly different to anything they’ve done before, regardless of whether or not it comes across as fully formed. And so here they are. “We’re doing really good, I think we have a lot more respect for each other than we’ve ever had,” smiles Stone. “It’s a lot more cruisey. It’s a good vibe.” If nothing else, this connection with Rubin has rekindled a spark within the Stone siblings. Perhaps their next effort together will be more considered, more of an indication of how talented they really are.